Click above for our NEW VIDEO of the natural hot springs. There is really no place quite like Mono Hot Springs, California. For the more adventuresome, its an unique opportunity to have a true wilderness experience of scenic hiking, swimming, trout fishing, boating, horseback riding, exploring for hot springs or just plain relaxing and enjoying the spectacular scenery while still having resort amenities of a fine food cafe, hot mineral baths, spa, massage, general store and comfortable historic cabin accommodations with WiFi. 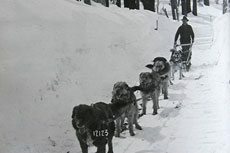 Many cabin Patrons remark how refreshingly relaxing it is to get away from it all and be able to walk outside their cabin without concrete walkways and the sound of traffic. A recreational setting connecting people to nature surrounds the cabins where couples and families can enjoy an evening of campfire fun. You will enjoy our friendly and helpful staff, great food service, Aimee’s wonderful massages and just plain relaxing in the spa with a spectacular scenic setting that Sunset Magazine recently described California’s Mono Hot Springs Resort as “gorgeous scenery as there ever was in the West”. 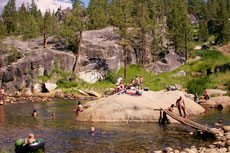 Mono Hot Springs is known for spectacular Sierra Nevada hiking opportunities deep in the Ansel Adams and John Muir Wildernesses. When people first drive into the Mono Hot Springs basin they are awed and often a little startled by the area’s shear expanse of the rugged glacially made granite scenery. This California High Sierra Wilderness between Yosemite and Kings Canyon National Parks is known as the Range of Light. It is one of the Nation’s most amazingly beautiful landscapes with no roads cutting through this wilderness to the east. Here you find peace, not crowds, in one of the most remote parts of the Sierra Nevada – a perfect vacation alternative to Yosemite. Beautiful Doris Lake is an easy one mile hike from Mono Hot Springs that is well suited for families with young children. If you can pull yourself away from the lake’s beauty and wonderful swimming, Tule Lake is another three quarters of a mile with scenic Devil’s Table a more difficult trek along the way. A fairly steep three mile hike to Corbett, Givens and Cunningham Lakes, just a 5 minute drive to the trailhead, takes you quickly to a high elevation spectacular view full of Eastern Brook Trout. A short 4-wheel drive to Bear Lake Diversion Dam takes you to the Bear Creek Trail where a three mile hike puts you in the most beautiful of the area’s scenery with Golden Trout Fishing. Florence Lake is a 25 minute drive from Mono that is located in a spectacular granite basin reflecting 11,000 ft. pyramid shaped Mt. Shinn. At the Florence Lake Store a ferry service can take you across the 5 mile lake where you can hike along the San Joaquin River to beautiful Blayney Meadows and beyond to the Muir Trail Ranch, hot springs, the John Muir Trail and the Pacific Crest Trail. A more moderately challenging 7 mile round trip hike from a Florence Lake parking area trailhead takes you to Dutch, Hidden and scenic Crater Lakes. The large Jackass meadows below Florence Lake provides easy and pleasing hiking and camping along the river. Ward Lake is a wonderful surprise you will pass on the way to Florence Lake tucked in a steep walled granite grotto that also offers excellent California Kayak fishing, boating and camping. About a 20 minute drive to Edison Lake takes you to Vermilion Valley Resort with a ferry service shuttling people 7 miles across Edison Lake to within a mile of the famous John Muir/Pacific Crest Trail. Mono Creek is a wonderfully serene creek and several alpine lakes are within a day’s hiking range. There are numerous small streams and lakes all around the Edison Lake area with great trout fishing. The High Sierra Pack Station has horseback day rides to back country wilderness lakes like the Devil’s Bathtub. We will help plan your desired hiking opportunities from easy to more difficult. Trout Fly Fishing guided instruction by Sierra Fly Fishers is available. Make sure you fill up with gas at either Shaver Lake or Huntington Lake. From Shaver Lake it’s about a one and a half hour drive – and from Huntington Lake about an hour drive to Mono – one of Northern California’s most beautiful and remote hot springs resorts in the high Sierras. 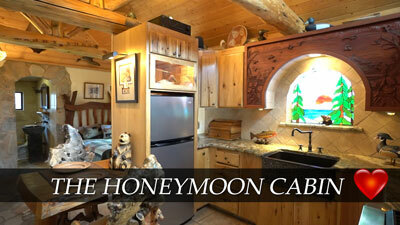 Please call us at 559 325 1710 for more information on Mono Hot Springs Northern California Resorts. "On my last trip to Mono Hot Springs I had one of the greatest insights of my life. I do my best thinking soaking in hot springs with an expansive high altitude view! I spent three and a half months up here last summer, and not only experienced some of the best outdoor quality time of my life, but have met some of the most open and full hearted people of my life. So many of the hikers who come down off the Pacific Crest Trail here to resupply and revitalize at the Hot Springs look like they’ve seen God! Women half my size shouldering backpacks almost twice what I’d try and absolutely loving it with a zeal and enthusiasm I can’t remember seeing anywhere in the world - with the possible exception of Banaras India - the great spiritual center of India. It’s like this place brings out the best in people! 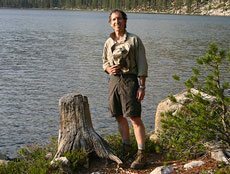 I’ve enjoyed more deep and profoundly meaningful conversations sitting around fountain in front of the general store with hikers, fishermen and Mono Indians who come through in the summertime teaching their children the traditional routes through the high Sierra than anywhere I can think of!